Blurred vision will be a thing of the past with Air Optix for Astigmatism . Created by eyecare professionals Alcon & Ciba Vision, these toric contact lenses have been designed to offer the ultimate clear vision all day long. 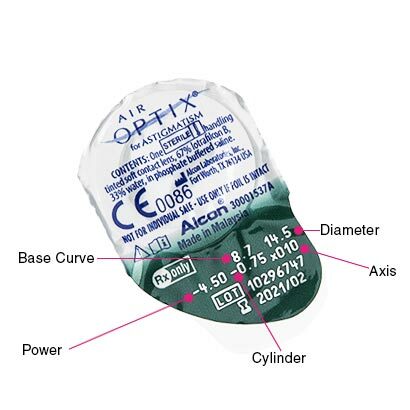 Featuring Precision Balance 8|4TM Design technology, Air Optix for Astigmatism ensures a secure and stable fit, for exceptional visual clarity, from morning till night. Made with exclusive TriComfort technology to deliver an outstanding lens wearing experience for wearers. The silicone hydrogel material allows up to six times more oxygen to the eye than traditional hydrogel toric lenses. The unique lens material resists harmful deposits and retains moisture for prolonged comfort. 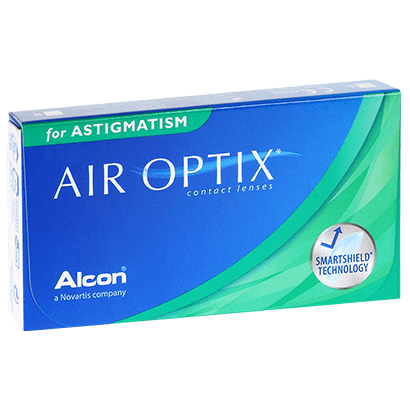 Air Optix for Astigmatism are highly recommended to be worn as monthly lenses, alongside a cleaning and storing routine. However, with the approval of your optician the lenses can also be worn as extended wear. Why not try comfi All-in-One Solution for your cleaning and storing needs? These astigmatic lenses are guaranteed to make your eyes feel comfortable and to offer optimum visual clarity at FeelGoodContacts.ie.